I finally got my new windshield for my Sony PCM-M10 after wearing my old one down to the fabric underneath! 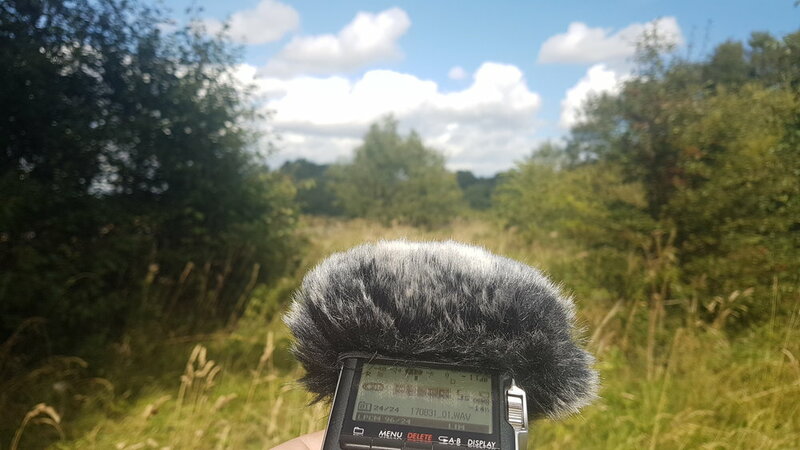 I was out and about that day driving around Ponteland in Northumberland anyway, and I had my recorder and a tripod with me, so I decided to stop in a small forest area and record some footsteps and foley that I needed for my Survival Island demo level! Here's some examples of the foliage rustling sounds that I needed for my procedural foley system in the demo level. These are the raw recordings. There's some background noise, which couldn't be helped as there were some construction workers somewhere in the far distance. It should RX-up pretty nicely though! Next up there's some forest floor footstep sounds that will form one of the footstep layers for the Survival Island demo level.